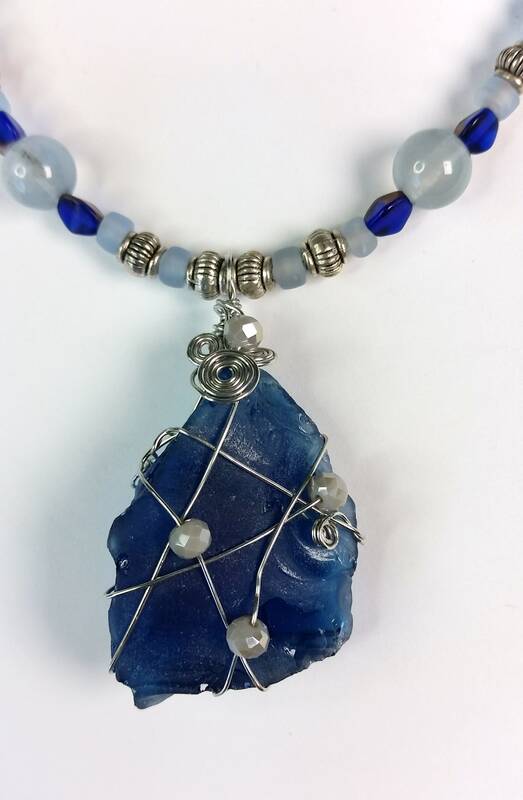 This lovingly wire wrapped cobalt beach glass focal has silver craft wire and sparkling blue/gray crystals. 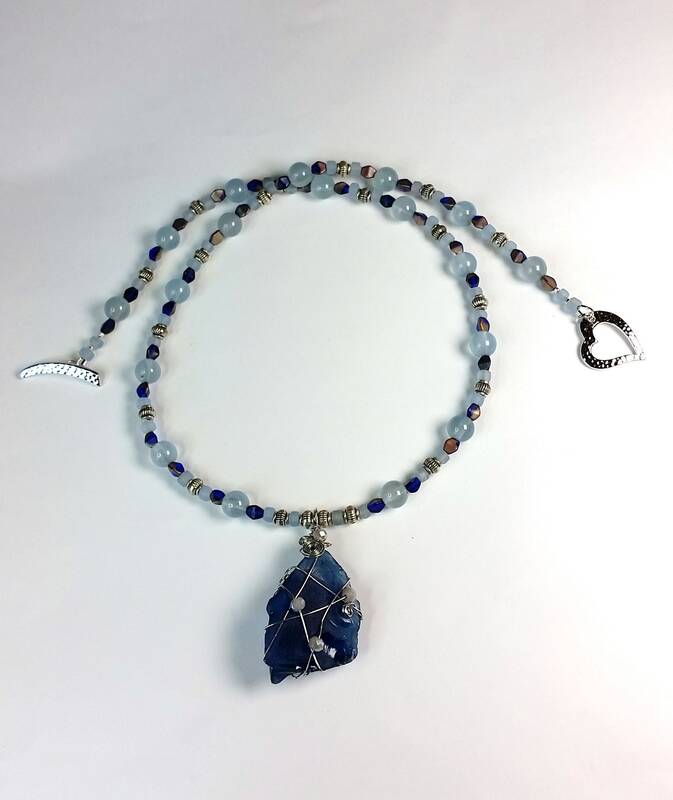 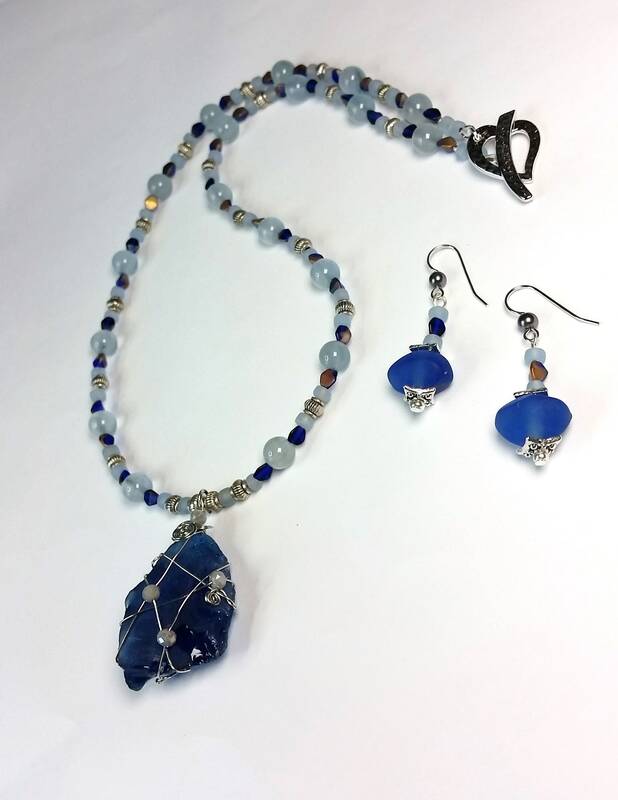 The beach glass pendant is supported by a symmetrically patterned strand of Czech cobalt and metallic colored faceted seed shape beads along with 6mm round dyed sky blue chalcedony and patterned metal spacer beads. 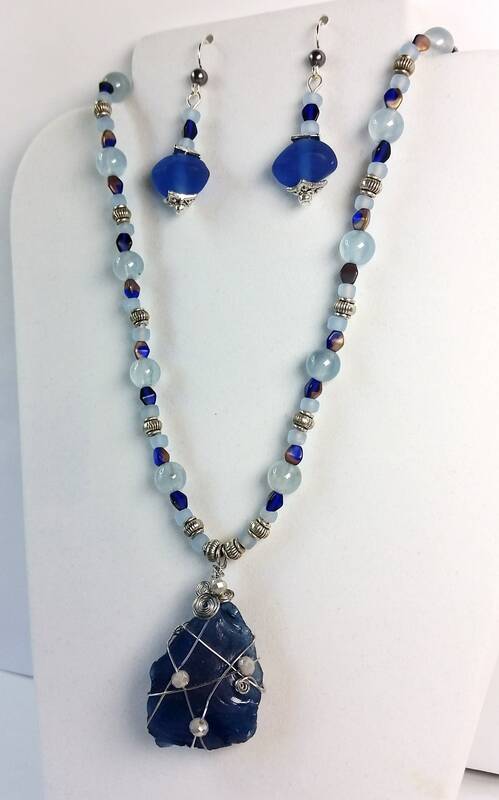 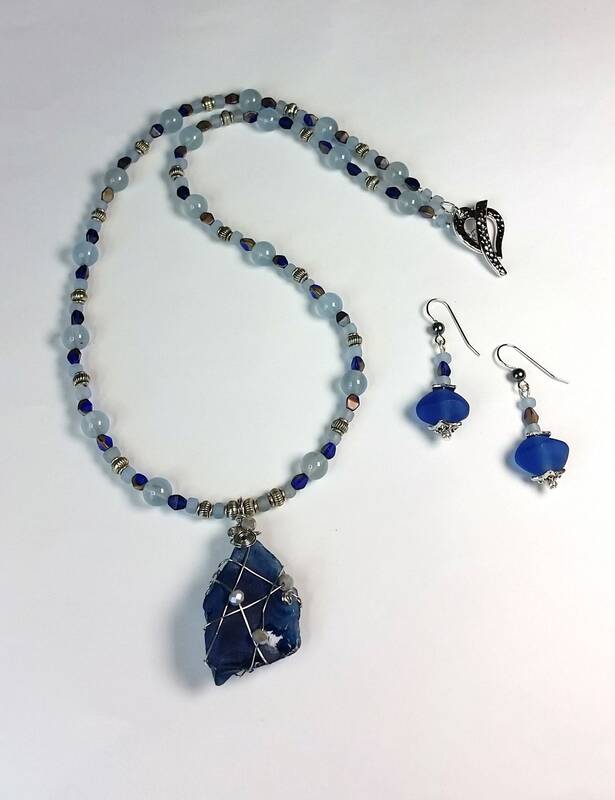 Matching earrings have cultured cobalt beach glass as well as other beads the same colors as the necklace. 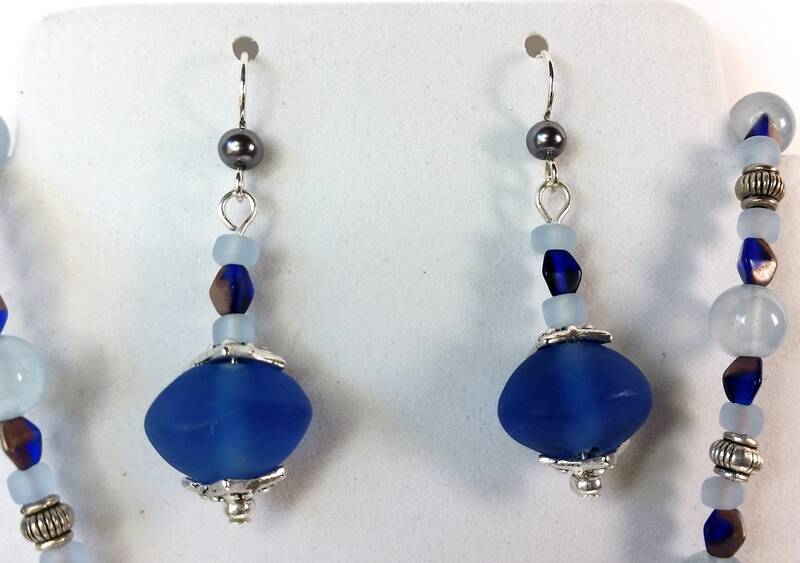 The earrings dangle from sterling silver ear wire; each ear wire is adorned with a small pale silvery blue pearl. 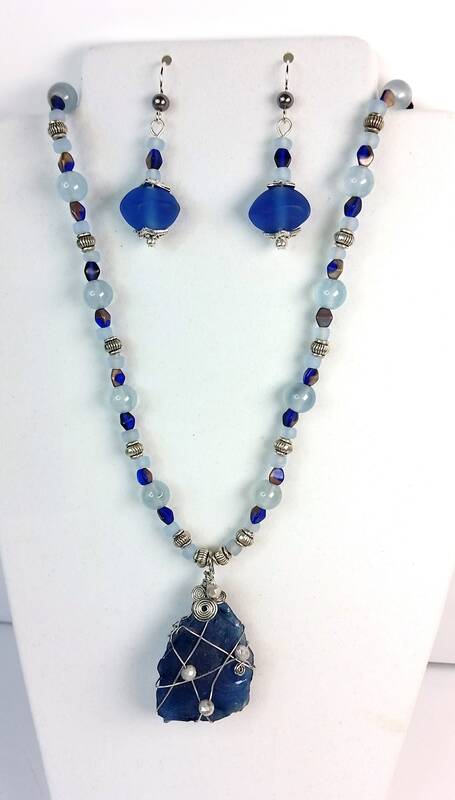 The earrings dangle just over an inch below the loop in the ear wires. 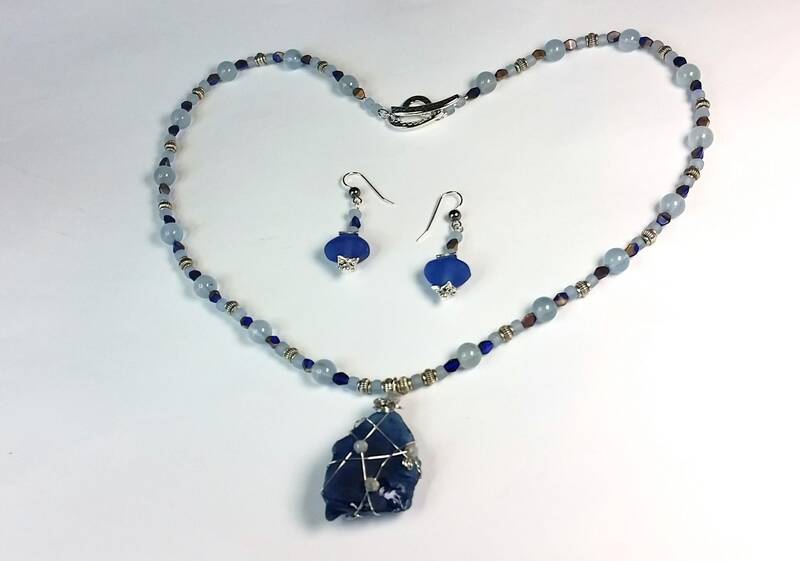 The necklace measures approx. 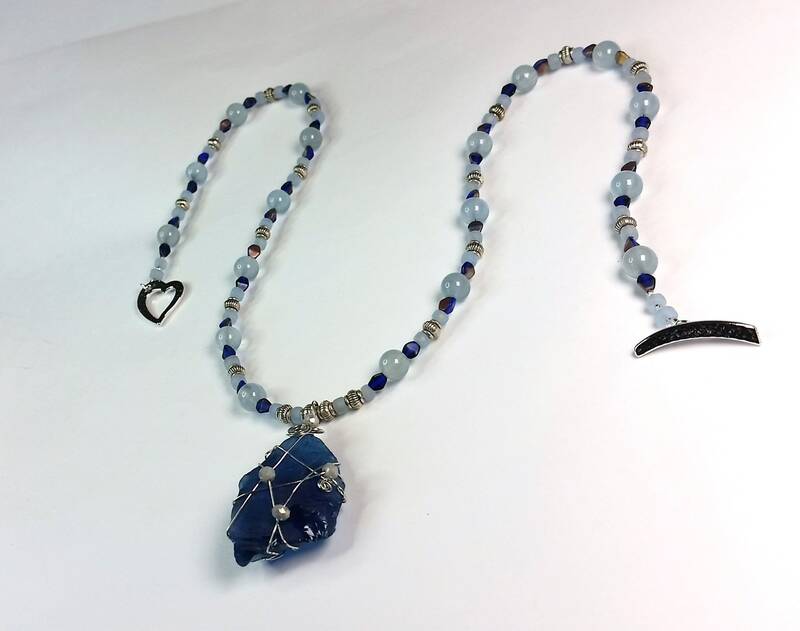 22.5 inches in length and has a silvery hammered heart shaped toggle clasp.